Google Chrome extensions are PC´s best answer to smartphone apps. Google Chrome extensions that save us time and money are always popular on our navigator toolbar. Travel planning can be both fun and exciting, yet time consuming and expensive as well, don´t you agree? But, if there was a Google Chrome Extension that could save you both time and money on your travels, would that be helpful? 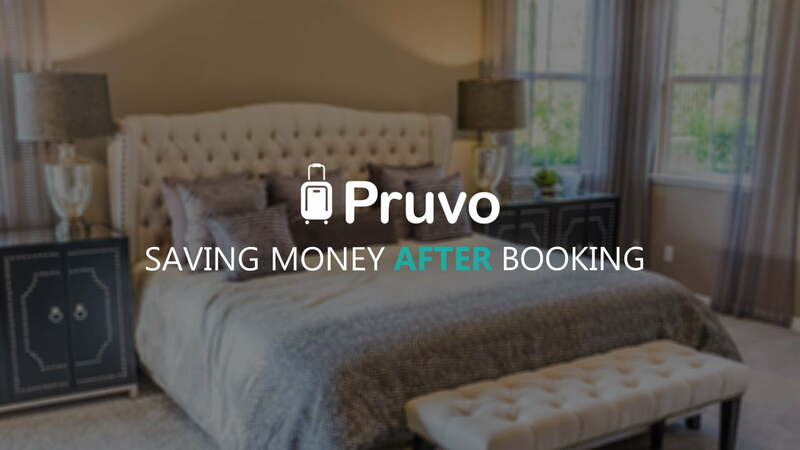 Pruvo is a free, automatic online service that takes an existing hotel reservation from any website, hotel or travel agency, tracks its price 24/7 and alerts the user once there is a better deal for the exact room within the same dates the user had already booked. At Pruvo, we designed our platform to be comfortable for the users and allow 2 ways to use our service. One way is by forwarding your hotel reservation email confirmation to save@pruvo.net and the other is by downloading our free Google Chrome Extension here. From there, just open your account and choose from the menu which price and which website you prefer to rebook with. Then click the button and we will take you right to the reservation page with your exact hotel room already chosen. Last but not least, after receiving confirmation for the new, cheaper booking, don´t forget to cancel your original, more expensive booking. Though flight searching, car rental and route planning may still require time and effort, at least we took care of the hassle with hotel bookings at the lowest possible price. Next Article How to Rent a Car for… $1 a Day!